Buy the home of your dreams and collect a few prizes along the way. McCar homes in Charlotte, NC is giving you a “passport” into a new life and into a wonderful contest. When you visit one of the many McCar communities featuring new homes in Charlotte, there will be a “passport” waiting for you. One tour of a McCar home will give you one stamp. If you register a prospect you will receive three stamps, and if you write a contract you will receive five stamps. Each stamp will give you one entry into a drawing held on September 22nd. The “passport” fun will only be happening from August 1st till September 15th so hurry up and find that new home you have been waiting for. A $500 American Express gift card, a GPS system, and 1 of 5 $100 BP cards are just a few of the amazing prizes being offered. 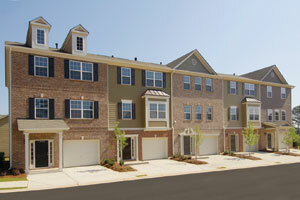 There are eight different communities in the Charoltte McCar homes family. The types of homes in these communities range from luxury townhomes, to spacous single-family homes. McCar homes are prefect for first time buyers. Come to Charoltte, find your dream home, and win some amazing prizes. 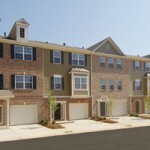 This entry was posted in Charlotte new homes, North Carolina and tagged first time home buyers, Luxury townhomes, new homes in Charlotte, new single-family homes on August 13, 2008 by Carol Morgan.